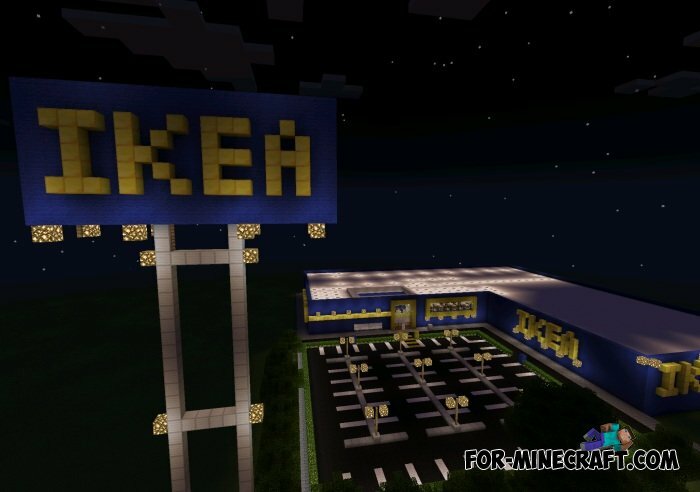 I think you know the IKEA shopping center. If not, you'll know when to download a map on which it is located. The shopping center has a large size! Inside the building there are a lot of different products! In front there is parking for cars. The shopping center looks very beautiful and realistic, both outside and inside! TimCity map for Minecraft PE 0.10.4TimCity is a big building, reminiscent of a big city in Sweden or Norway, where a lot of super large skyscrapers.